Open 6 Days a week morning to night to accommodate your busy schedule. If you are ready to start, you have nothing to lose but a life-long love of music to gain. Call Us Today to get started - (817) 677-8506. With 3 Convenient Locations in the DFW area, we're sure to help you get started! Our Teachers understand that every student is an individual, with personal musical needs and goals. We make it a priority to tailor how we teach and what we teach to your individual needs. If you enroll here for lessons, your teacher will ask you about your favorite type of music, and set goals to help accomplish whatever musical aspirations you have for yourself or your child. Together, you will develop a plan to achieve your goals! What style of music can I learn? 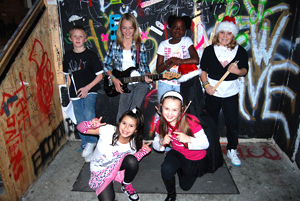 We teach all styles: rock, pop, jazz, country, blues and classical. We combine the important fundamentals with the music YOU want to play. With nearly 50 teachers at Creative Soul Music Schools, you are sure to find the best match for YOU. Enrollment is always open, so you can begin anytime! Although with over 800 students, spots go fast so call to get your spot today! I am a complete beginner, how long does it take to learn an instrument? That's a tough question, because it differs for every person. Those who really enjoy challenges usually do very well. The trick is to enjoy the entire learning process, play and practice, and eventually jam or play in an ensemble. Many students play very well in six to nine months, yet others do very well within a year. Being able to play in a band is exciting and great for building confidence. The majority of our students continue lessons long term because they want to constantly improve and they find the lessons stimulating and enjoyable. Note: learning to play piano solo often takes longer than playing piano with a band. I need to shorten my lesson time. How does this work? We can only do downgrades at the start of each billing cycle. So, if it's a mid-month request, we can make the arrangement, but the adjusted time will not begin until the 1st of the next month. I'd like to increase my lesson time. How does this work? Upgrades can be done at any time, subject to scheduling availbility. You'll be billed the difference in tuition, and if it's mid-month, you'll be prorated. Do I need my own instrument for lessons and classes? Yes, you will need to bring your own instrument. However, we do provide drum sets, amps, keyboards, & pianos on site. Our Front Desk can assist you in finding the right instrument to fit your needs and budget. Renting and borrowing instruments are also options to consider. My child is interested in learning the guitar. Does he/she have to begin on an acoustic or is it ok to start on an electric? Yes. By simply monitoring your child and developing a practice schedule is a great start. Parents are encouraged to observe during lessons to get an idea of what the song is supposed to sound like, or the proper position for playing the instrument. Weekly lesson plans are provided, which outline what the student is learning. Parents are encouraged to ask the student to practice and demonstrate each item on the lesson plan. My child is only interested in rock and roll, can he benefit from taking lessons? No matter what style of music a person is interested in, the fundamentals of music still apply. Learning the terminology (language) of music and developing a comprehensive knowledge of music does not impede one’s ability to "rock out". It actually allows the development and advancement into higher levels of playing, no matter what style they prefer. Are group classes or private lessons better for learning music? Private lessons are great for learning technical facility of your instrument. It is also easier for the instructor to tailor to the students needs and interests in a one on one environment. Group environments (ex. Rock Band, Group Instrument) have more opportunity for students to have fun, build confidence and share their musical experience. Facebook is popular because we want to share our experiences and lives together, this is similar to why joining a Band will be more effective for your child's social and emotional growth. If you still have questions regarding which program is best, let our Front Desk ask some key questions to help you.